Clojure is a dynamically typed, functional language that lives on the JVM, with a disposition to peculiarly placed parentheses. It's also a language with some interesting ideas about how to construct software. This talk will lay out a case for using Clojure. 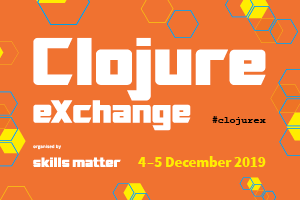 We'll cover where Clojure differs from other languages, what tools it provides, and why you might want to consider adopting it... or at least why you should steal some of its ideas. 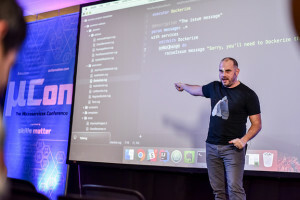 James Reeves is the author of Duct, and is the author or lead developer of a number of other popular Clojure libraries, including Ring, Compojure and Hiccup. He currently works as a freelancer in London.